If you’ve been following along with my Insta posts and stories you may have seen me talking about Femme Fair. For those of you who haven’t or are curious, it was an event aimed at keeping female empowerment alive by uplifting women in the community where all proceeds from ticket sales went to the Global Fund For Women. 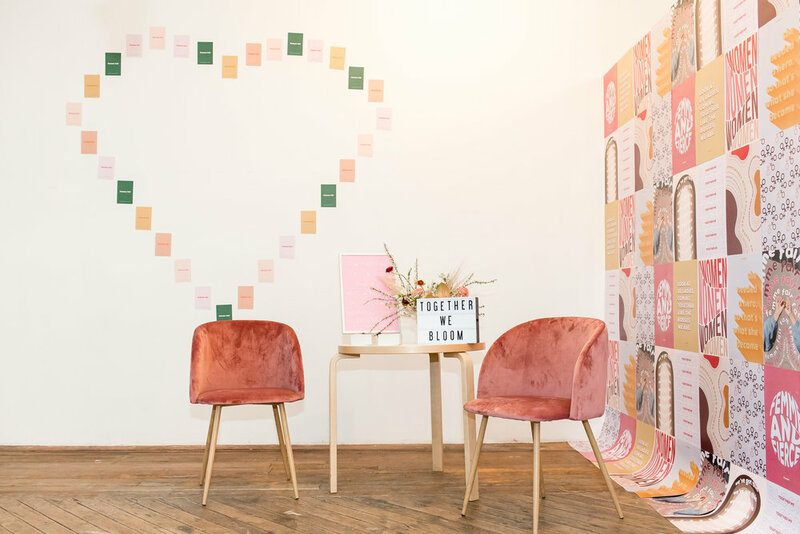 This jaw dropping, Insta-worthy, and visually satisfying event included a panel, guided mentorship, a keynote speaker, and a chance to shop your favorite bloggers closets. I had the pleasure of setting up a booth next to 14 other incredible women joined by vendors and sponsors at The Archery; facilitated through Peerspace who did an amazing job coordinating this space for us. I remember discovering Femme Fair last year on IG just after it had already taken place so it was serendipitous to participate this time around in the class of 2018. Founders Stacy, Mel, and Christina are so amazingly talented curating this amazing experience. Even their friends and families pitched in to make this all happen; talk about community support. Leading up to the big day we all rallied together to share intimate stories that have shaped who we are and capture moments that will be forever remembered. This inspired my approach to how I would design my booth. 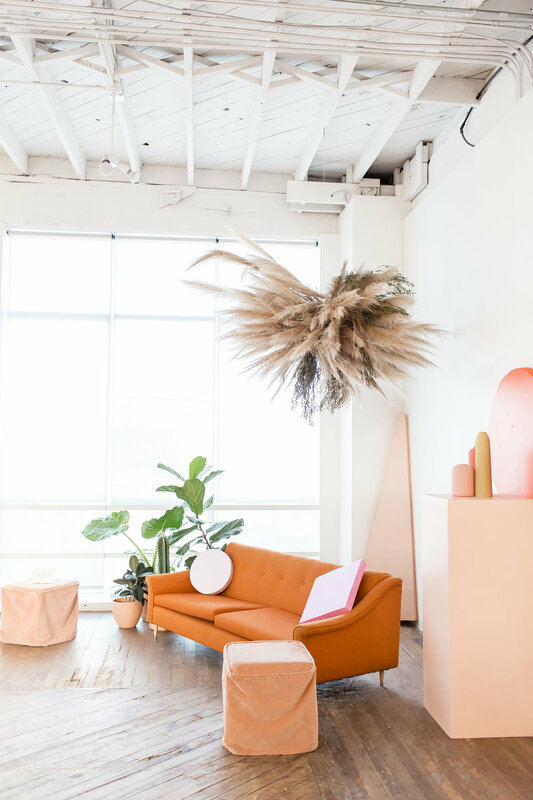 Wanting people to feel at home, I incorporated items from my personal home and closet collection and thought it would be a nice touch to support other women owned businesses I love by having their items showcased. I invited Beija Flor Naturals, Covet SF, and Taylor Jay Collection to have presence at my booth. Beija Flor Naturals is owned by Stevonne, who also has two storefronts in SF and Oakland called Concept Forty Seven. If you didn’t get a chance to sample or purchase her items they were the sweet rose face scrub, Cocoa-mango-buttercream, and soy candles all of which are made by her with her own two hands. Everything smells so amazing and the cocoa-manger buttercream has become a staple ritual in my haircare routine. Designer Taylor Jay handpicked items from her collection to showcase at the event. Her heavenly items are made with premium materials and are oh so comfy. At my booth, I shared space with Adrienne from Covet Boutique joining me in having her beautiful handcrafted jewelry items. She’s also a wholesaler and writer just launching her second book last month; Adventures in Wholesale. I was so impressed and amazed by the event design . It’s as if they thought of every aspect and mirrored an Insta dream IRL. What an incredible experience! 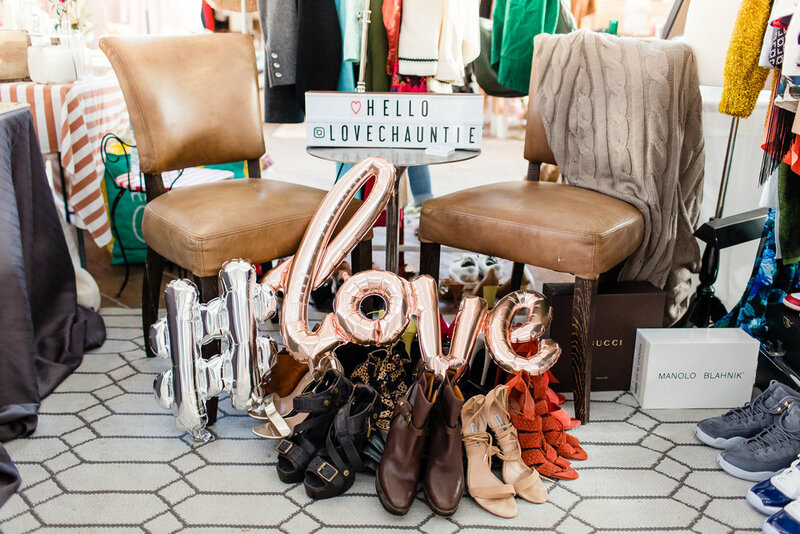 From connecting with new faces to shopping blogger babes closets, this was a truly inspiring event. This truly did take a village and everyone was such a joy to work with and become friends with. The consensus was that everyone left feeling energized, connected, and left with intent to keep the movement going. We’ll have these memories forever and I can’t wait to continue to spread this sense of sisterhood throughout the year. Special thanks to everyone who participated in this event!